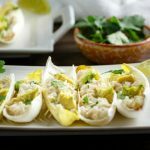 Shrimp Salsa Verde Salad Boats are very simple to make, no bake, low carb, keto, paleo lunch or snack. 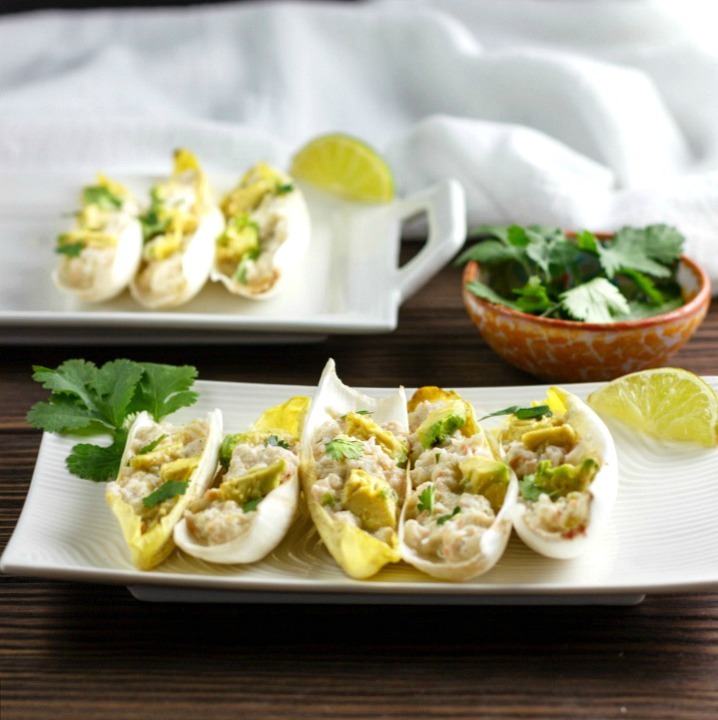 Shrimp Salsa Verde Salad Boats are an easy to make lunch or appetizer that is made with healthy, low carb & paleo ingredients. Grain free and gluten free shrimp salad in a zesty, creamy, salsa verde with hints of lime. The boats can be topped with chopped avocado and optional chopped cilantro. No baking or cooking is required because I thawed a bag of cooked frozen wild caught shrimp. 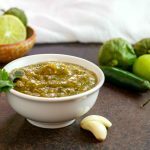 A homemade salsa verde can be used like my homemade salsa verde recipe, or a store-bought salsa verde can also be used to save time. I used Belgian endive leaves, but the shrimp salad is also good served in romaine lettuce cups or butter lettuce leaves. This would also be excellent on some low carb crackers. In a large mixing bowl combine: cooked shrimp, salsa verde, lime juice, and sea salt. Stir, cover and refrigerate for 10 to 15 minutes. Add to a food processor: shrimp salsa mixture, black pepper and mayonnaise. Pulse just a couple times until mixed. 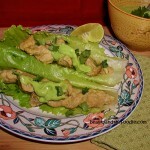 Fill endive leaves or other lettuce cups (can use romaine or butter lettuce cups) with shrimp salad mixture. Top each boat with chopped avocado and optional chopped cilantro. Serve. Nutritional Data: Yield: 10 boats, Servings: 5, Serving Size: 2 boats, Amounts Per Serving: Calories: 197, Carbs: 4 g, Net Carbs: 1 g, Fiber: 3 g, Fat: 10 g, Saturated Fat: 1 g, Protein: 22 g, Sugars: 1 g.
Shrimp Salsa Verde Salad Boats are a very simple to make, no bake, low carb, keto, paleo lunch or snack. Fresh, tasty, and made with healthy ingredients.Grain free and gluten free shrimp salad in a zesty, creamy, salsa verde with hints of lime. Add to a food processor: shrimp salsa mixture, black pepper, and mayonnaise. Pulse just a couple times until mixed. What a great idea, and the flavors sound so good, plus a fun presentation is always great for entertaining! Totally love this recipe. So simple and delicious !! Love this simple and light lunch and I LOVE primal kitchen mayo! Yum! Mmmm this makes such a yummy snack! Can’t wait to try! Aw, my family will love these, so many of our favorite things! What a great idea! Love lettuce anything 😉 So refreshing! Salsa verde boats?!!! Yes please! We’re big salsa verde fans in my home. These sound so yummy! 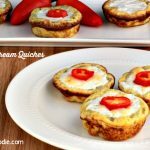 These look like the perfect summer meal- yum! Endive is so underrated. Perfect pairing for this awesome little salad. This is such a fab lunch idea!! Thank you, Irena 🙂 I agree! What a great idea!! 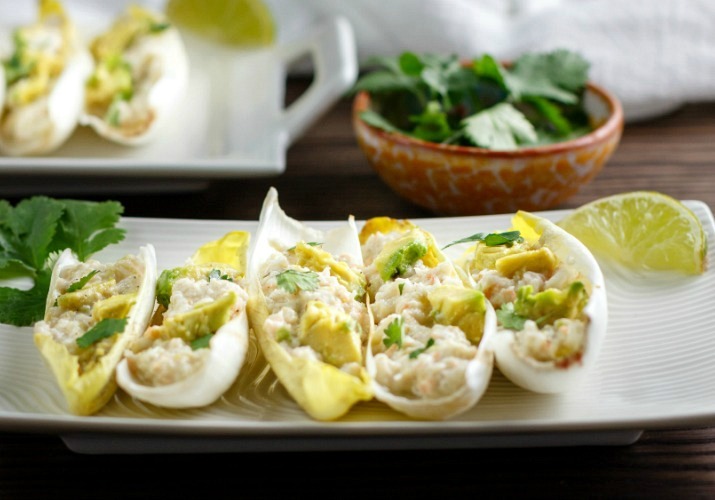 Creamy limey shrimp in a crunchy leaf….auh-mazing!! What a cute little snack and so healthy too! I really love shrimp dishes so I’ll be bookmarking this one for sure. Thank you so much, Jean! I love shrimp too, even though I don’t have many shrimp recipes posted.